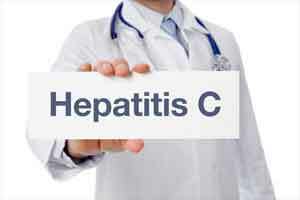 Chandigarh: Health Minister Anil Vij said Haryana has become the first state to treat Hepatitis-C patients of all categories through oral medicine. Speaking in a training workshop organised by the department, the Minister said no patient in the state would suffer from Hepatitis-C disease. He said for the first time, the state government has included oral medicine in government hospitals. This medicine would be provided free of cost to permanent residents of all categories at district level. Mr Vij said Nodal Officers and Monitoring Officers have been deputed to ensure that Hepatitis-C patients would not suffer at any cost. He said that this medicine and treatment costs about Rs 28,000 to 30,000 in the market, but the state government would provide this facility free of cost. He said this disease mostly spreads through infection and the blades used by barbers were also responsible for the same. Therefore, efforts would be made to inspire barbers to use new blade for every customer. On this occasion, the Minister launched ‘My State Health’ mobile application to provide information to doctors about health services. He also released a book titled ‘Standard Operating Procedure’ having detailed information about Hepatitis-C disease. He said Haryana would be first state where screening would be done of every person’s body and 35 to 40 necessary tests would be conducted by visiting houses of all residents. The full record of these tests would remain with the department.